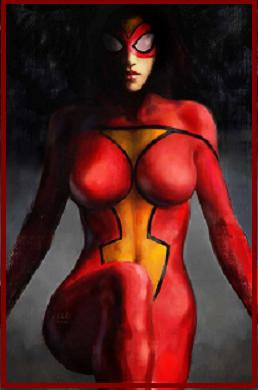 I've come accross this forum where I have heard for the first time Spiderwoman to be release on September 23, 2009, another one great creation of Marvel comics. A comic series that talks about Spiderwoman being captured and then being impersonated to be used to change her image and become oublic enemy number one. Revenge is her vision this time. Story made by Brian Michael Bendis with cover artists Alex Maleev and laex Ross. I know comic enthusiast can't wait for this newly made series. Seems like our Spiderman has his pair. Aren't they perfect match for each other? Peter Parker paired with Jessica Drew.